William Chase has made the humble potato his business. 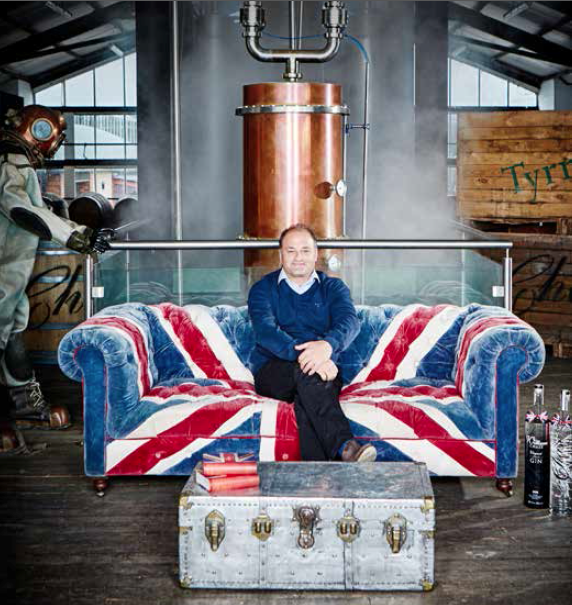 The potato farmer from Herefordshire made his fortune in artisan crisps before launching Chase Distillery and creating Britain’s first Single-Estate vodka and gin range. William’s career has not always been plain sailing; his successes have come off the back of many challenges. With innovation, determination and a pride in British produce, he has created what have become award-winning and trail-blazing products. In 2008, the family built one of the UK’s first start-up distilleries in 200 years; there were only around seven other distilleries producing most of the gins and the vodkas on the market. At the time, there was a law on the minimum size of still so William invested in the world’s tallest copper distillation column. The law was then changed but William had an industrial sized still – which he called Ginny – ready and waiting to turn potatoes into spirit. Chase Distillery’s vodka is created entirely – from seed to bottle – on the Herefordshire family farm. It is this award spirit that is then redistilled with carefully selected wild botanicals to make their range of gins. It takes 250 potatoes to make one bottle of vodka; 16 tonnes of potatoes make only 1000 litres of alcohol, but William is happy to go the extra mile for a quality product. 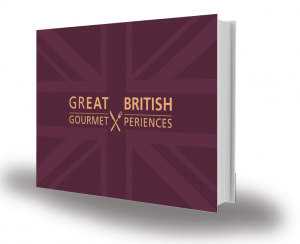 It is about integrity and engaging with businesses and customers who understand his ethos of superior British produce. While many spirit producers buy in their neutral spirit, Chase vodka is made entirely on site using only potatoes from the farm and water from their bore hole. It’s a recipe that clearly works; Chase Vodka was voted ‘World’s Best Vodka’ at the prestigious San Francisco World Spirits Awards in 2012. 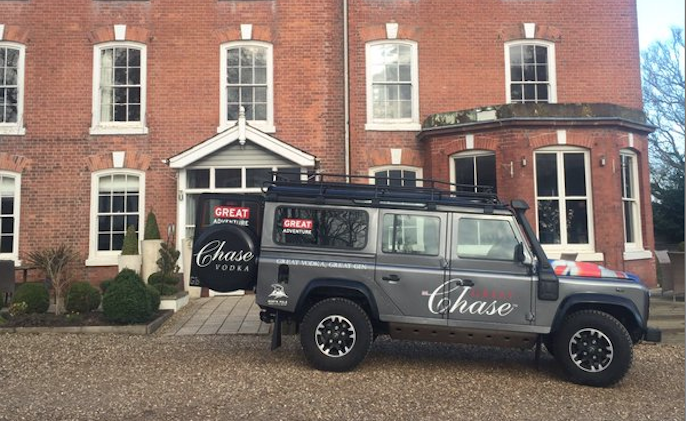 Chase vodka is used to create William’s GB Extra Dry gin. Juniper buds and berries are added to the vodka in the copper still. Wild botanical infusions of cinnamon, nutmeg, ginger, almond, coriander, cardamom, cloves, liquorice and lemon then give the gin its distinctive flavour. The GB gin was voted ‘double gold’ and best in class at the same San Francisco World Spirits Competition. The Chase brand has become a favourite for those who care about their spirits. These also include those with gluten intolerances and ‘Coeliac’ disease – being made of purely potatoes and no grain ‘fillers’ it is suitable for those avoiding grain gluten. It’s a dream come true for the farmer who wasn’t sure he could make ends meet. “Wanting to be a farmer and grow produce was my dream career, but then reality in the commercial world stepped in. I struggled for many years trying to make a business doing what I liked, and eventually found it best to focus on one thing; it was potatoes, for good or for bad,” says William. “Now with our vodka and gin created from farm produce, I can finally grow and make something sustainable with real pedigree.” The future? Will and his family have spent a great deal of time abroad in recent years championing British spirits, the distillery now exports to over 50 countries. They also now have a county house hotel near the Herefordshire distillery, ‘Verzon House’ run by wife Kate.